Our first vigil was incredible. 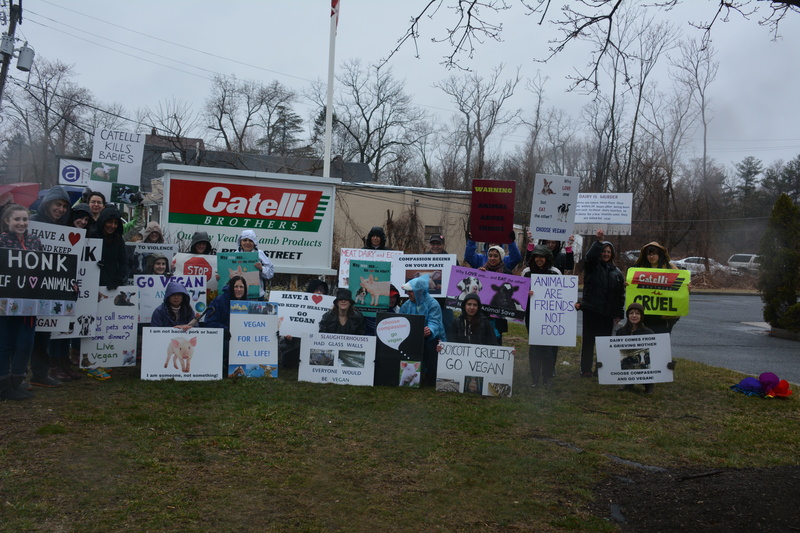 Over 30 dedicated animal activists stood outside of Catelli Bros Slaughterhouse in miserable weather to awaken the community to the cruelty inside Catelli’s doors. The feeling of being surrounded by so many wonderful and compassionate activists and working together to raise awareness was amazing! And getting press coverage was the icing on the vegan cake! Photos from our first vigil! It is so important that we all stand in solidarity at our first vigil this Saturday. 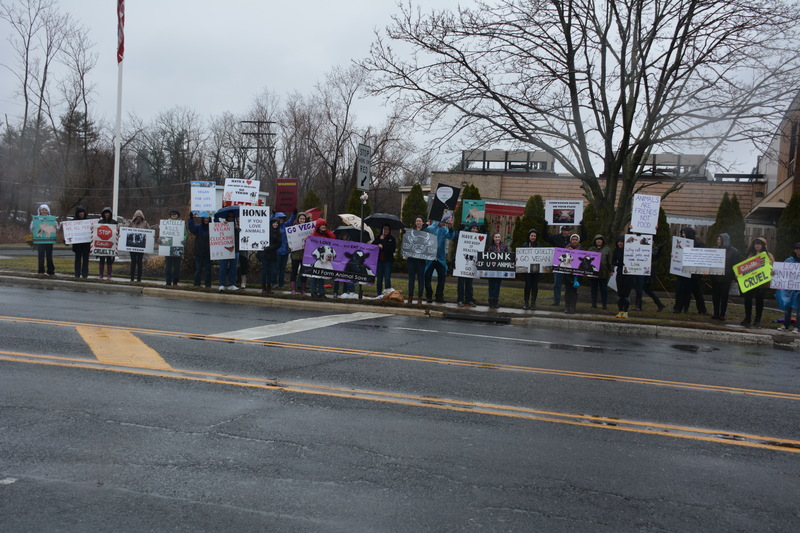 We will be getting press coverage from both the Monmouth Journal and TV My 9 – so let’s show our strength in numbers and be a voice for the animals. 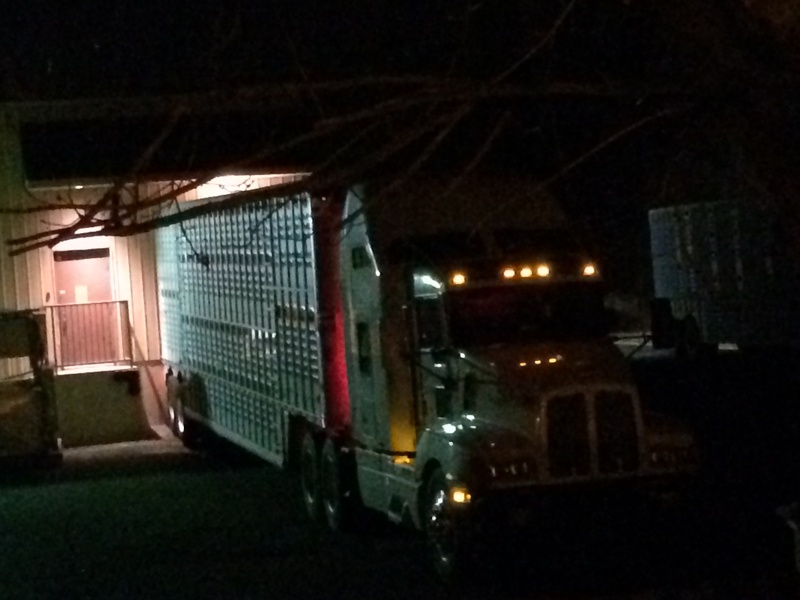 5:00am this morning, March 24, 2014 – a transport truck pulls into Catelli Bros. in Shrewsbury, NJ. 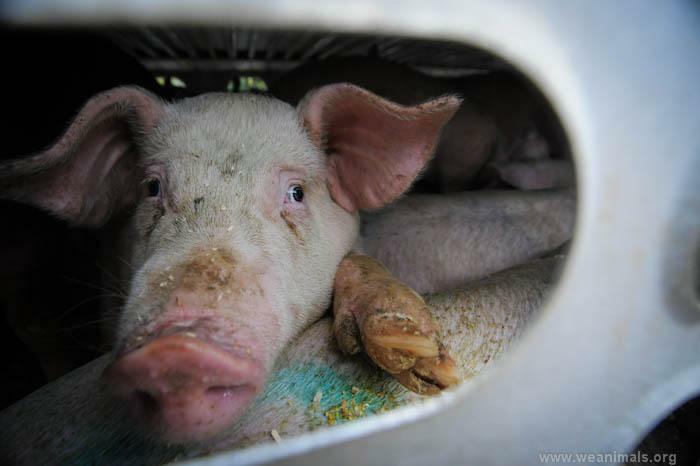 It is bitterly cold and since it’s pitch black, it is impossible to see much, but the wails of the babies can be heard, as well as the clatter of their hooves as they are pushed forward and into the slaughterhouse where they will be brutally killed in order for people to eat veal. The whole operation is perfectly executed. Done in complete darkness, before the vast majority of people are even awake. 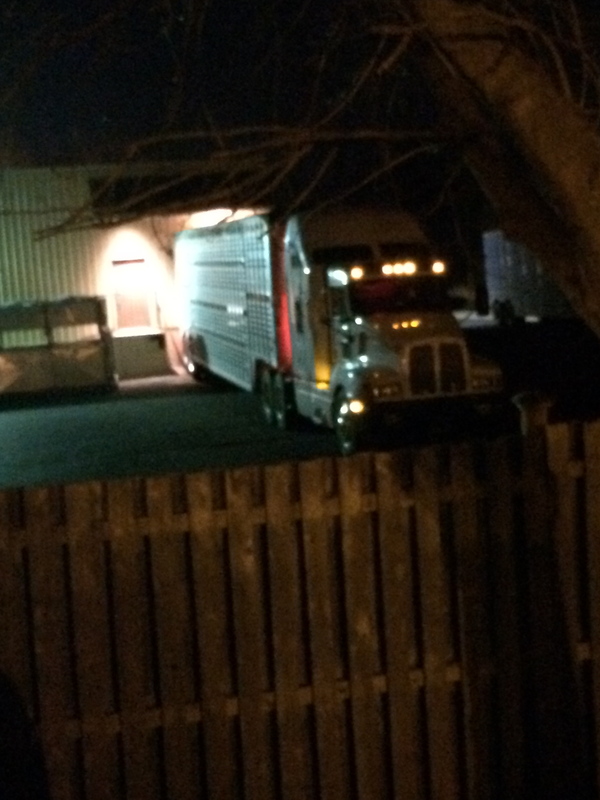 The truck backs up to the door and does not move away until the calves are inside and the door is shut again. 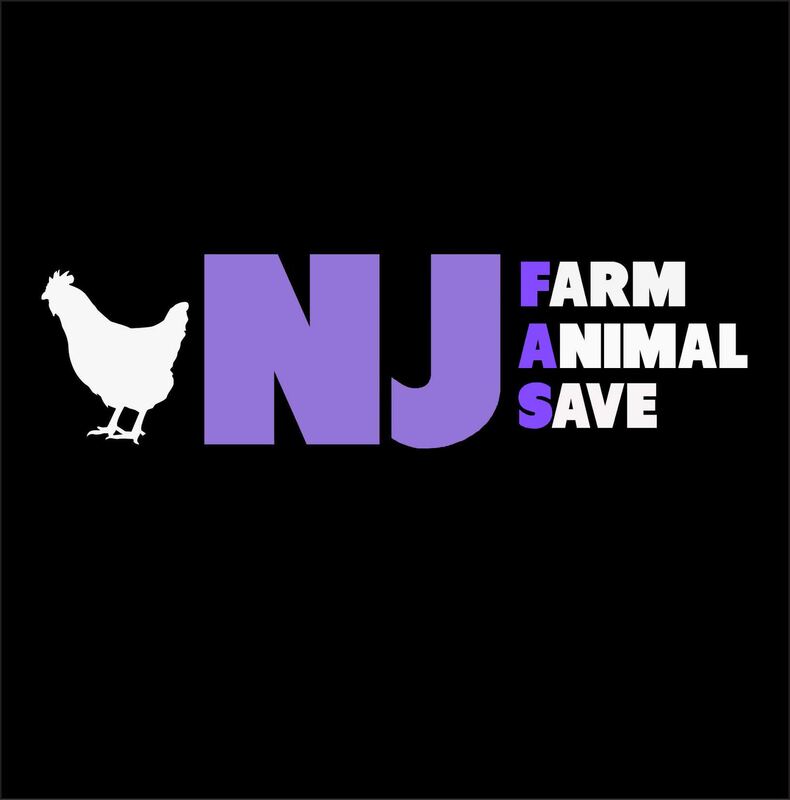 Please join us from 12:00 – 2:00pm on Saturday March 29 right in front of Catelli Bros at 768 Broad Street, Shrewsbury, NJ. You don’t need to bring anything at all. We will have plenty of signs. 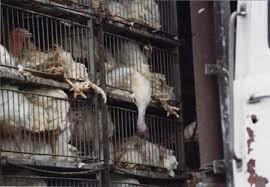 We must bear witness to the animal holocaust and we do not need to go out of our state to do so. We will hold vigils at these places – bear witness with our bodies and minds – and document the atrocities so that they will not be forgotten.